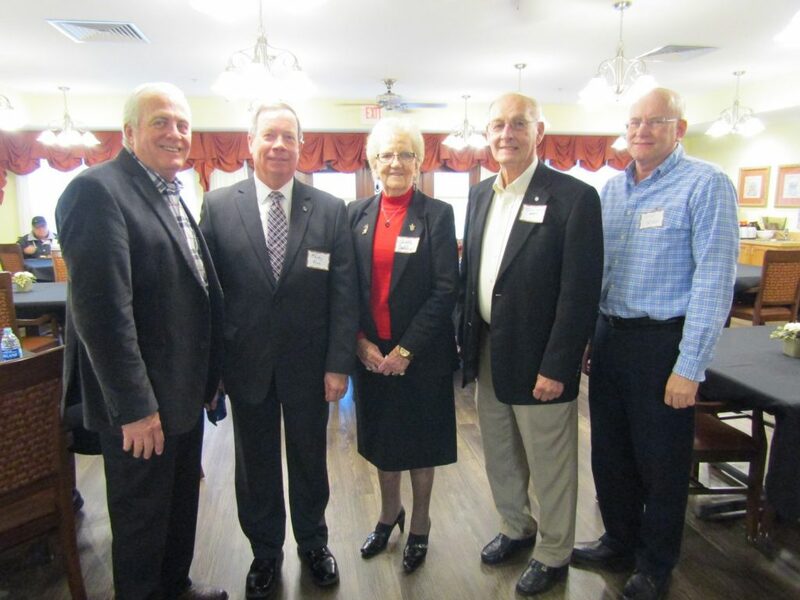 Last week, I had the honor of being one of the speakers at the 10th Anniversary celebration of Heritage Woods of McLeansboro, an affordable assisted living community that Gardant manages in southern Illinois. McLeansboro is a small town located a little more than 100 miles southeast of St. Louis. The town serves as a county seat for Hamilton County. The total population of McLeansboro is estimated to be less than 3,000. National Basketball Association player, coach and Hall of Famer Jerry Sloan grew up 15 miles south of McLeansboro in Globbler’s Knob. He was an all-state basketball player for McLeansboro High School, graduating in 1960. 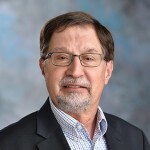 He attended college about 60 miles away at the University of Evansville. The Heritage Woods affordable assisted living community, which houses 41 private studio and one-bedroom apartments, is located on property adjacent to the Hamilton County Hospital and the Hamilton Memorial Rehabilitation and Health Care Center. Since opening, more than 170 older adults have made Heritage Woods of McLeansboro their home. They have benefited from the personal assistance and help with medications provided by the staff; from support services such as housekeeping, laundry and three daily meals served restaurant-style in the dining room; and from all of the opportunities that are available to socialize with family and friends and participate in social, recreational, educational and wellness activities and special events. More and more research indicates that social interaction is one of the biggest keys to aging well. 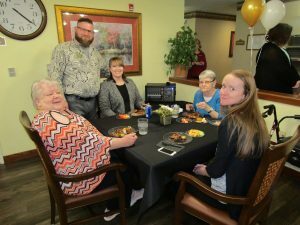 Especially recognized during the Anniversary Celebration was resident Betty Eggley, who has lived at the community since it opened 10 years ago. In addressing those in attendance, I noted that Gardant’s focus with each of the communities we manage is on providing residents with the Love, the Compassion and the Dignity they deserve in addition to the help and assistance they need. Our goal, I said, is to help each resident achieve and maintain as much independence as possible for as long as possible. Another point I highlighted in my remarks is that Heritage Woods of McLeansboro is one of nearly 40 communities in Illinois that Gardant manages that are certified to operate through the state’s Supportive Living program. 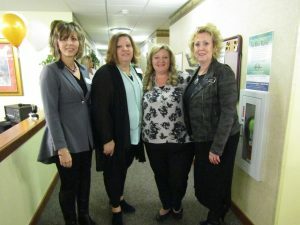 As such, Heritage Woods of McLeansboro is able to serve older adults of all incomes, including those who are either on or qualify for Medicaid. The other communities we manage in southern Illinois are Heritage Woods of Benton, Heritage Woods of Centralia, Heritage Woods of Flora, Heritage Woods of Mt. Vernon and Prairie Living at Chautauqua in Carbondale. All are certified to operate through the Supportive Living program. In addition to honoring Betty, two Heritage Woods of McLeansboro staff members received special recognition. Dietary Manager Sharon Depew and Dietary Aide David Noles received awards for 10 Years of Service. In 2015, David received national recognition when he was honored by the Assisted Living Federation of America (now Argentum) with a Hero Award. The award recognizes individuals who are ideal representatives of the thousands of people serving in senior living. Here is a link to the video about David that was produced by the Assisted Living Federation of America and played at the association’s 2015 national conference.